Surprise! Casual coasting and site-seeing on two wheels is available in the Roanoke Valley in Virginia’s Blue Ridge Mountains. The long shadows cast in the afternoon and evening sun are refreshingly cool, which makes the adventure all the more enjoyable. While we may be known as the U.S. East Coast Mountain Biking Capital and home to world-class road biking, there are also plenty of opportunities for beginner-level riders. Bring your bike or rent one and let’s get moving along these 10 easy bike routes. At about 16 miles from one end to the other and back, this is an easy, rolling ride that includes beautiful scenery along the way. The fire road connects all of the lower bike trails at Carvins Cove. 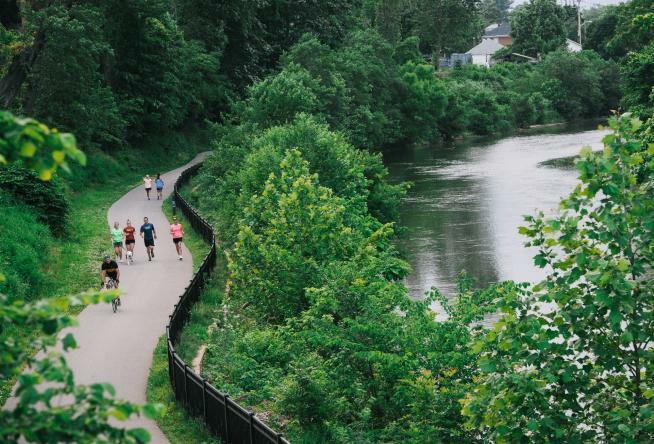 This 11-mile road course loop meanders through downtown Salem to show off some history and then follows the Roanoke River for a good dose of natural beauty. One of four trails around Greenfield Recreation Park, the namesake trail is a little over three miles long. The trail loops around the perimeter of the park, taking in the views of the 125 acres and beyond. Families and biking newbies can ride the slow pace of the Roanoke River Greenway, a beautiful stretch of paved trail that parallels the Roanoke River and loops in and around municipal parks. Multiple parking areas and even bike rental companies, such as Roanoke Mountain Adventures and UnderDog Bikes, make this an easy Blue Ridge Day of fresh air. The Tinker Creek Greenway is short and starts at Fallon Park before reaching the Roanoke River. Care to stretch this leg? 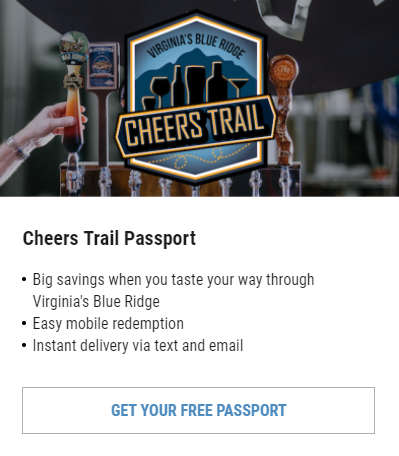 Connect with the Roanoke River Greenway and ride on! A gravel trail, the Hanging Rock Battlefield Trail is an easy out-and-back that include interpretive signage regarding the Civil War history of the Battle of Hanging Rock. Be sure to see the Battle of Hanging Rock monument as well. Four miles of trails are available at Claytor Lake State Park. They’re easy and wonderfully family friendly, looping from campground to campground and offering views of Claytor Lake. The “What a Day Trail” and the “Fitness Trail” are both ADA Accessible, which means their three total miles are only open to hikers and bikers, and are an easier experience for those with motor disabilities and impairments and the caretakers who accompany them. All abilities of adventure seekers and nature lovers will adore these two trails. Part of the Roanoke Valley Greenway trail system, Lick Run Greenway is a 3.5-mile point-to-point trail that travels between downtown Roanoke and Huff Lane Park near Valley View Mall. The trail goes through Washington and Brown Robertson Parks. Another of the Roanoke Valley Greenway trail system, Wolf Creek is a little over two miles long and stretches through Goode and Stonebridge Parks before reaching the Blue Ridge Parkway. You’ll find the shaded trail quite enjoyable with plenty of wildlife and domestic animals along the way. Looking for more routes to try? Take a look at our Greenways and additional bike routes.